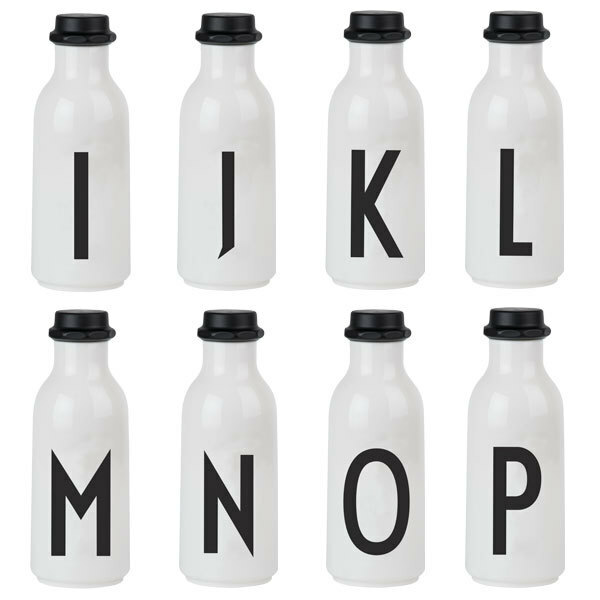 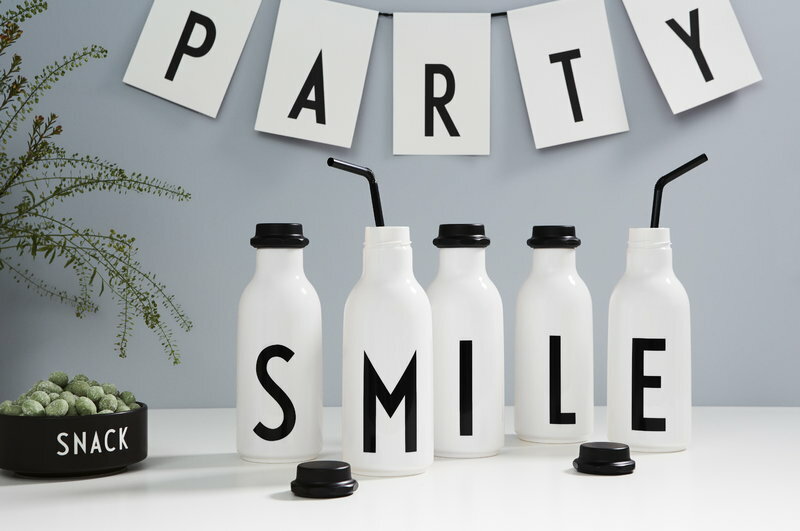 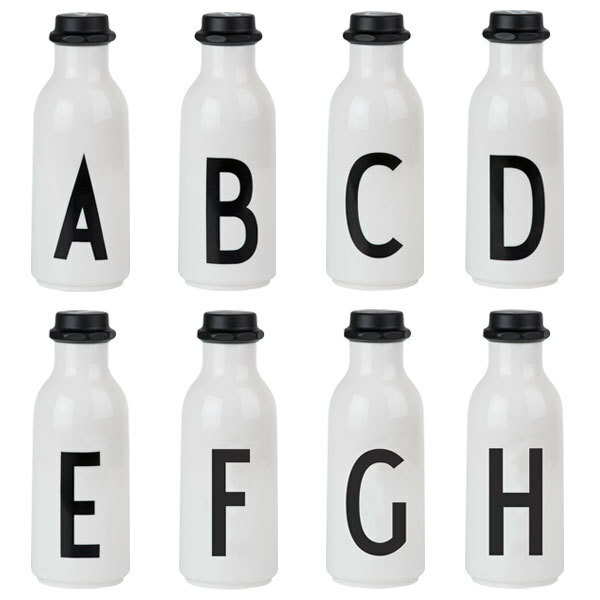 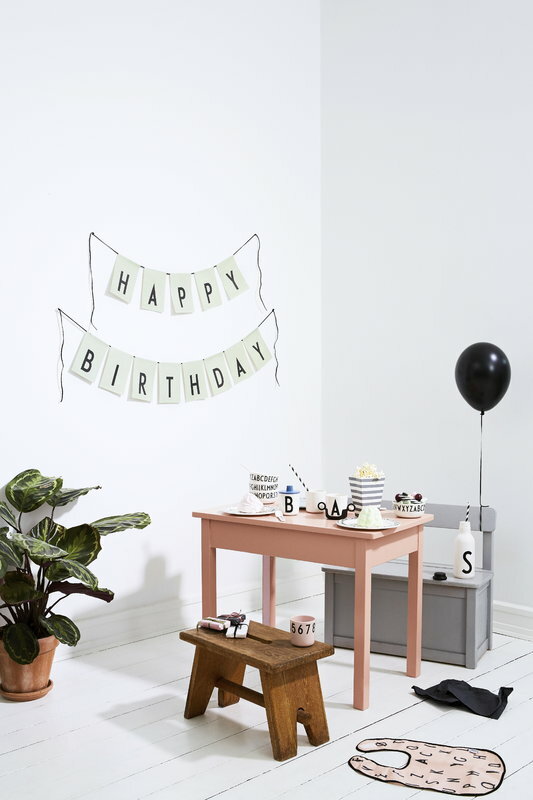 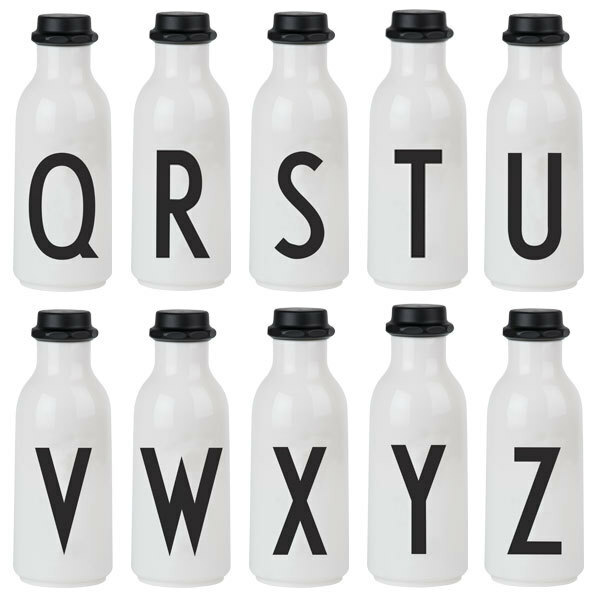 Design Letters’ Arne Jacobsen drinking bottle features a single letter typed in the elegant font Jacobsen designed for Aarhus town hall in 1937. 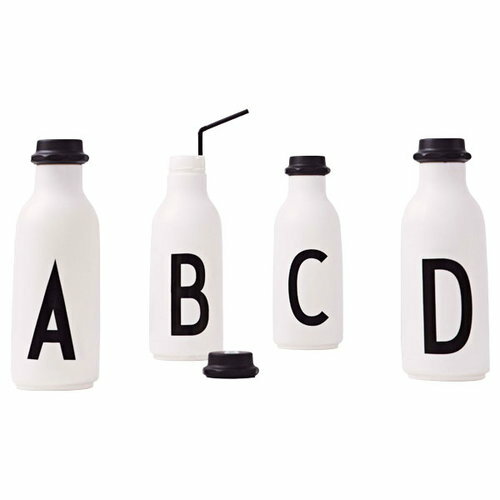 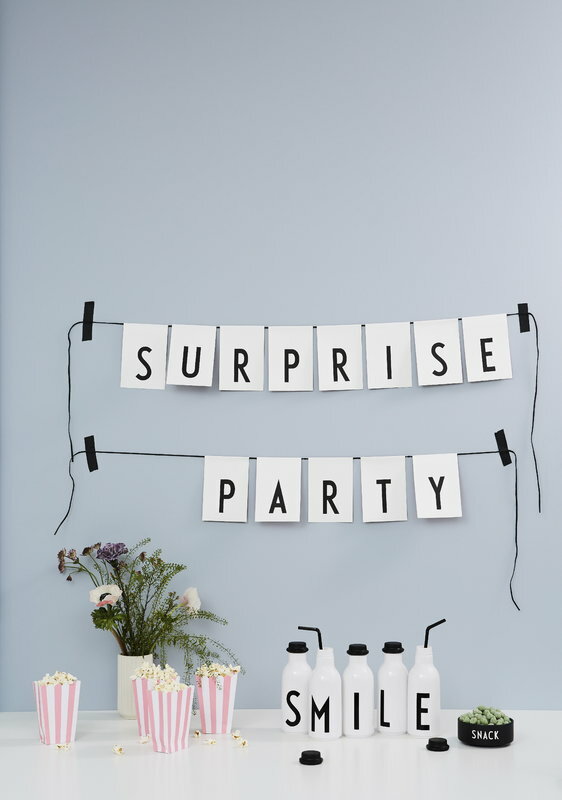 The white plastic bottle resembles a classic milk bottle and has a black plastic cap. 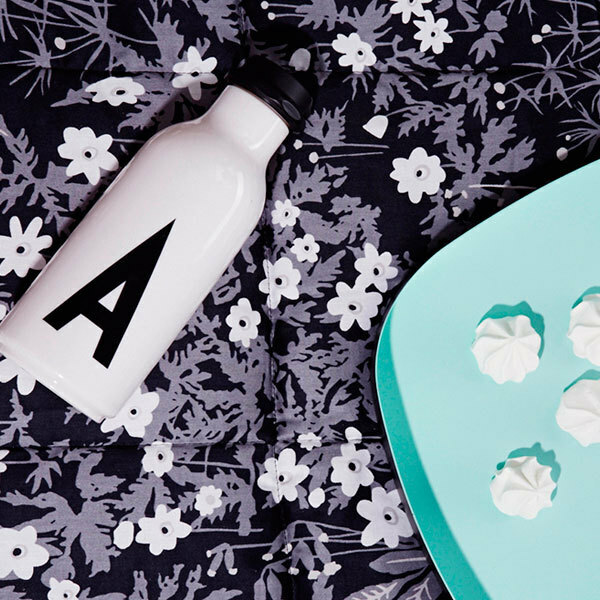 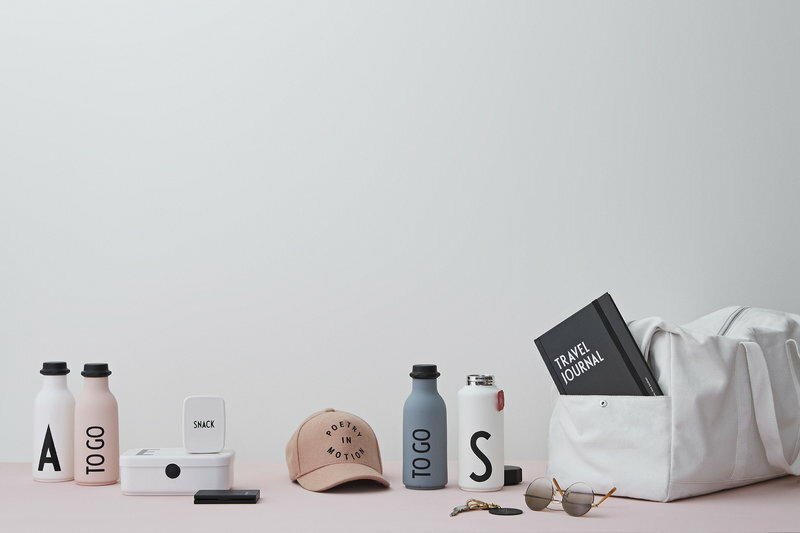 Keep yourself hydrated with simple graphic style – at home, work, school and in leisure activities.